(Grand Prairie, Texas - Friday, September 20, 2013) - The Texas Horsemen's Partnership will be offering free flu shots at Lone Star Park to all currently licensed horsemen and their immediate family on Friday, September 27 from 3:00 p.m. to 4:00 p.m. in the chapel in the racing office building. 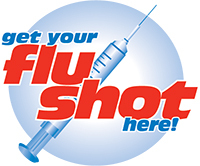 You must present your Texas Racing Commission license to receive a flu shot. For more information, you may contact Tami Hare at (214) 850-6821.